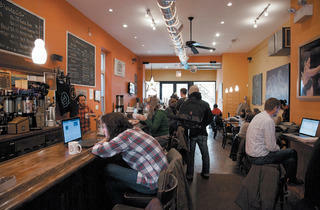 Jesse Diaz has turned this unassuming West Town café into a coffee destination. 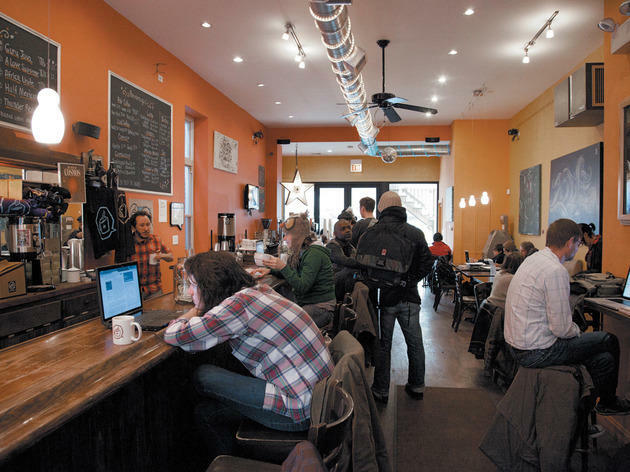 Sidle up to the “bar” for a taste of Dark Matter coffee, which is roasted in eight-pound batches above the café in unusual flavor profiles that have caught the attention of area restaurants. Diaz’s unconventional roasting approach extends to iced coffee, which achieves its delicate flavor using heat-extraction rather than trendy cold-brewing. No clue what we’re talking about? One of the veteran baristas behind the bar can walk you through it.